In 2016, five Scrum Values were added to the Scrum Guide: courage, focus, openness, respect and commitment. From Gunther Verheyen’s idea and with Mohamed Gargouri, we recently translated the Scrum Values into French. It’s been the opportunity for us to explore them deeper and to give them more precision. 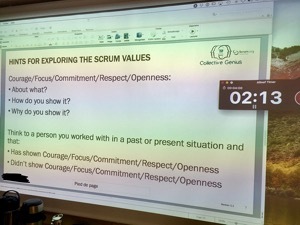 Crucial to create trust, the Scrum Values are the lifeblood of Scrum and the foundation for the transparency which is needed very much if you want to inspect and adapt efficiently in an empirical process. The first time I read about the Scrum Values, I remember being skeptical of their concrete purpose in a working environment. Then, I started to read more about them, applying these values to my own behavior and starting to see how these five Scrum values helped me maintain my professional integrity. The next step, obvious to me, was to think about how to use these values to make others understand what I had understood myself. That's how I started experimenting with a workshop, with different clients and in different countries, that I share here. Introduce the Scrum Values. Prepare yourself by reading the Scrum Guide and Gunther Verheyen's article. Don’t give too much details or examples about the Scrum Values. Give your participants time to assimilate them and be inspired. People can always surprise you! Within your group: think about a past or current situation when someone showed a courageous behavior or not. What were the consequences for the team and/or stakeholders regarding trust issues? Each group shares the findings with the full audience. The facilitator can use a flipchart to sum up the feedback (see pictures). Leave room for discussions, usually good discussions start after the first round. Don’t be afraid if the first round isn’t so great yet. Take the time to wrap up the workshop by collecting participants' general impressions and let them interact; possibly share your own experience as a facilitator. It’s now time to share examples related to Scrum. Be ready and give them a heads up. What I learned from past workshops. You will sometimes need the first round to warm up, the participants will be more natural in the next sessions. Some people may not feel safe in participating in the workshop. That’s why it’s important to set some basic rules, like: do not share people, project or product names. Those who do not want to participate are welcome to step aside, observe and listen to the discussions. If the group is already using Scrum, relate the Scrum Values to the Scrum rules. If not, just relate the Scrum Values to trust issues in work environments. 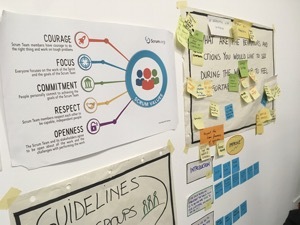 Scrum Values are a great way to create a climate of trust between people and, as a result, a working environment in which people's mindsets and behaviors are adapted to solve complex problems by experimenting with bold and innovative solutions! Try out the workshop, I’d be happy to know how it went! 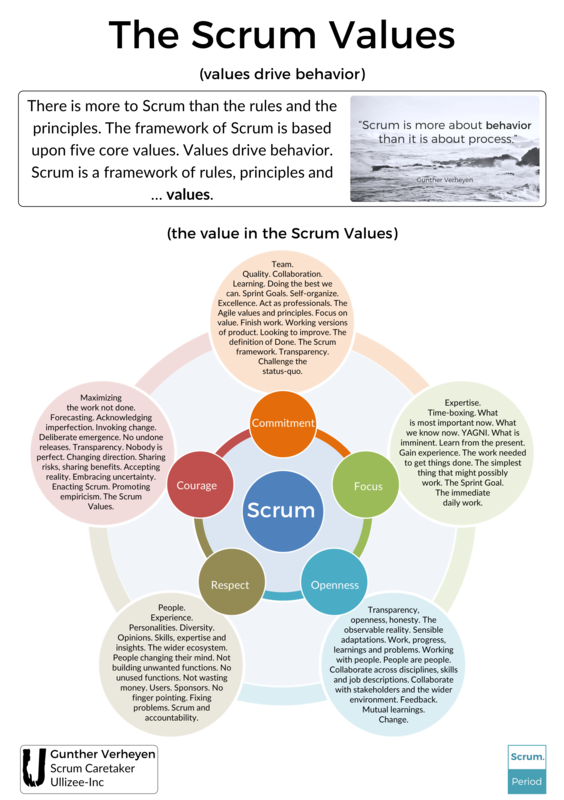 Click here to download and print the Scrum Values poster!